This newly revised, performance-based text covers the theory and techniques of basic clinical laboratory procedures. Workers in physicians' office laboratories, small clinics, hospital laboratories, public health departments, and point-of-care testing facilities will find this guide a useful resource covering the procedures they perform. The procedures are presented in an easy-to-follow format that includes a step-by-step performance guide and worksheets when appropriate. Procedures include CLIA-waived tests as well as some more complex tests, and incorporates current CLIA and OSHA safety regulations. 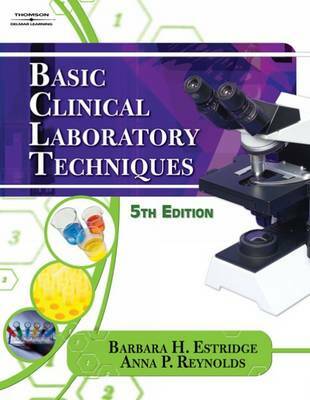 Basic Clinical Laboratory Techniques is a comprehensive guide for all laboratory technicians who want to review the essential laboratory techniques.